It is the summer of 1968, and a young woman called Valerie Watson is rushing to an interview. Just 21 and a recent graduate of Harrow School of Art, she had noticed a small ad – for a paste-up artist-come-general assistant – in the evening paper. Hurrying through the entrance arch to London Mews, Paddington, she arrives at number 17 and is confronted by large double doors painted bright canary yellow. As she enters, the orchestral crescendo from The Beatles’ ‘A Day In The Life’ blasts from behind a screen. Three young men are sitting at drawing desks: two to the right, one to the left. Framed on the back wall is a large poster of the classic 1950s Start-rite shoe advertisement featuring two young children walking down a tree-lined avenue with the slogan: ‘Children’s shoes have far to go!’. 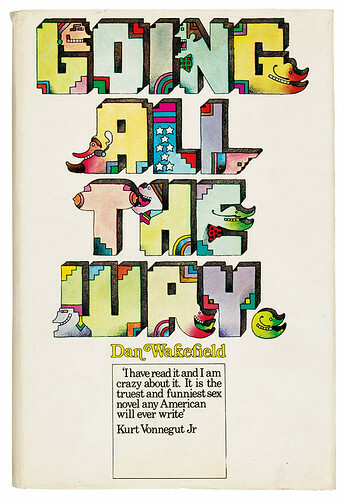 Book jackets for Going All the Way (Weidenfeld & Nicholson, 1970). Art director: John Curtis. 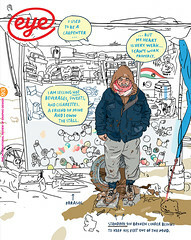 An example of Peter Bentley’s illustration work. One can see a resemblance to the look of Heinz Edelmann’s Yellow Submarine, still very much in fashion at the time. 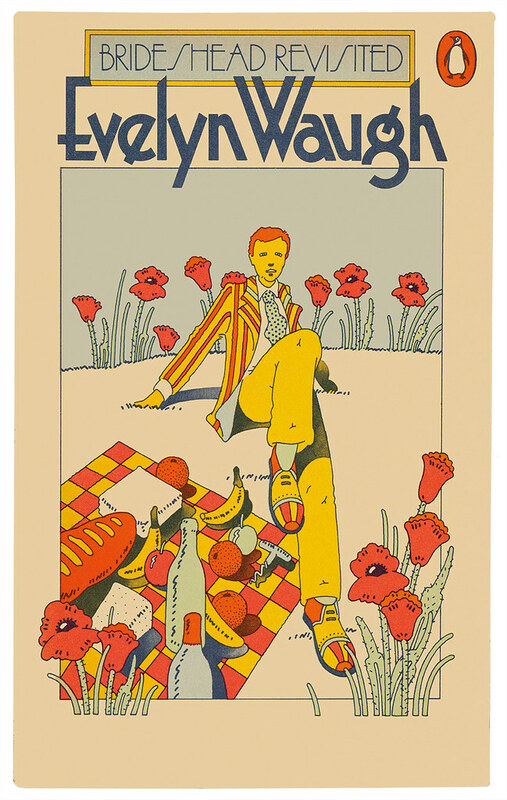 Top: Part of a series design for the novels of Evelyn Waugh, 1971. These were the sole domain of Peter Bentley who continued post-BFB.